The Chicago Architecture Biennial released a full list of participating designers today, bringing the total to more than 100 architects and artists from more than 30 countries. Beginning October 3, the inaugural festival of architecture, art, and design is being billed as “the largest international survey of contemporary architecture in North America,” and if all goes well it is expected to become a regular occurrence. 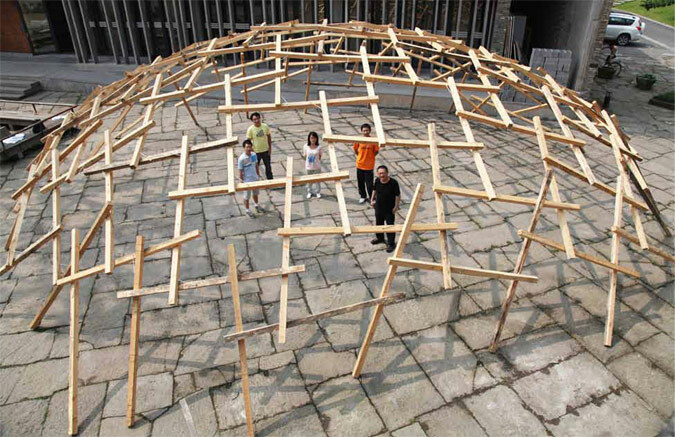 In addition to big-name architects and artists like Bjarke Ingels, Iwan Baan, and Jeanne Gang, the biennial's participants include young, ascending firms from several continents. More than 60 design firms across four continents will contribute to a new festival of design that aims to become the largest international survey of contemporary architecture in North America, co-artistic directors Joseph Grima and Sarah Herda announced Tuesday. The Chicago Architecture Biennial kicks off October 3 and lasts through the year, comprising one-time events and ongoing exhibitions across the city. The festival will be based at the Chicago Cultural Center, but activities will extend to sites including Millennium Park, Michigan Avenue's City Gallery, 72 East Randolph Street, and the Theaster Gates–rehabbed Stony Island Arts Bank. 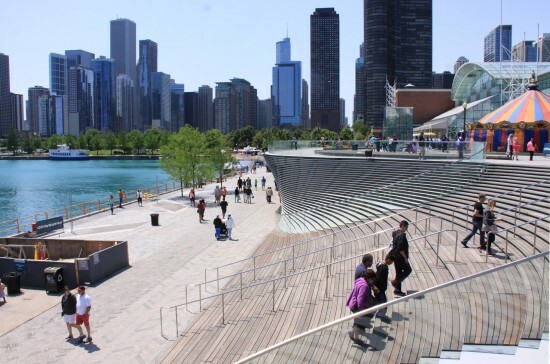 Chicago officials announced the biennial in June. Until now details were scant on the festival, which takes after the Venice biennale. Questions remain, however, on the content of the participating designers' expected contributions, and on the city's ability to fund what has been advertised as a major tourist draw with global cultural significance. Oil giant BP agreed to donate $2.5 million for the inaugural show—a contribution that was reportedly solicited personally by Mayor Rahm Emanuel. And Tuesday Biennial organizers announced a $1 million gift from SC Johnson. But the city’s still looking to raise at least half a million dollars more. “The Biennial team affirms with confidence that the fundraising goal will be met,” said a spokeswoman. The Chicago Department of Cultural Affairs and Special Events (DCASE) and the Graham Foundation will present the show, with programming in partnership with the American Institute of Architects and the Chicago Architecture Foundation. 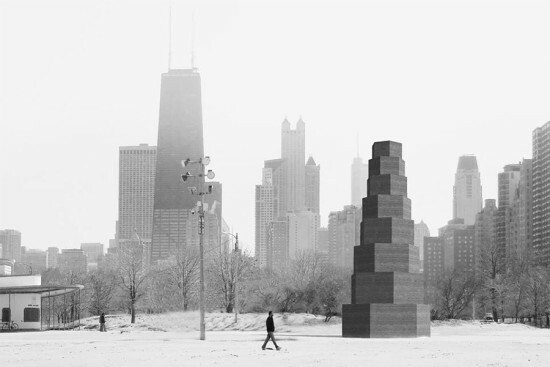 Iwan Baan will exhibit a photo series about Chicago, the organizers announced in November, and the show will pay homage to Chicago architect Stanley Tigerman, who in 1977 helped mount a seminal conference that gave today's biennial its name: The State of the Art of Architecture. Here's the full list of participating firms, as of April 14: Al Borde (Quito, Ecuador) allzone / Rachaporn Choochuey (Bangok, Thailand) Andreas Angelidakis (Athens, Greece) Andrés Jaque / Office for Political Innovation (Madrid, Spain; New York, USA) Aranda\Lasch (Tuscon, USA; New York, USA) Assemble (London, UK) Atelier Bow-Wow (Tokyo, Japan) Iwan Baan (Amsterdam, Netherlands) Erin Besler / Besler & Sons (Los Angeles, USA) Tatiana Bilbao S.C. (Mexico City, Mexico) Bjarke Ingels Group / BIG (Copenhagen, Denmark) Santiago Borja (Mexico City, Mexico) Carlos Bunga (Barcelona, Spain) Bureau Spectacular / Jimenez Lai (Los Angeles, USA) Csutoras & Liando (Jakarta, Indonesia; London, UK) Design With Company (Chicago, USA) El Equipo de Mazzanti / Giancarlo Mazzanti (Bogota, Colombia) Frida Escobedo (Mexico City, Mexico) Didier Faustino (Paris, France) Moon Hoon (Seoul, Korea) Indie Architecture + Paul Preissner Architects (Denver/Chicago, USA) John Ronan Architects (Chicago, USA) Johnston Marklee (Los Angeles, USA) junya.ishigami+associates (Tokyo, Japan) Kéré Architecture / Francis Kéré (Gando, Burkina Faso; Berlin, Germany) Kuehn Malvezzi (Berlin, Germany) Anne Lacaton & Jean-Philippe Vassal and Frederic Druot (Paris, France) Yasmeen Lari / Heritage Foundation Pakistan (Lahore, Pakistan) Lateral Office (Toronto, Canada) LIST / Ido Avissar (Paris, France) MAIO (Barcelona, Spain) Marshall Brown Projects (Chicago, USA) Mass Studies / Minsuk Cho (Seoul, Korea) MOS / Michael Meredith and Hilary Sample (New York, USA) New-Territories / Francois Roche & Camille Lacadee (Paris, France/Bangkok, Thailand) NLÉ / Kunlé Adeyemi (Lagos, Nigeria; Rotterdam, Netherlands) Norman Kelley (Chicago, USA) OFFICE / Kersten Geers David Van Severen (Brussels, Belgium) Onishimaki + Hyakuda Architects (Tokyo, Japan) OPEN Architecture/ Li Hu & Huang Wenjing (Beijing, China) Lluís Ortega / Sio2arch (Chicago, USA; Barcelona, Spain) otherothers / David Neustein & Grace Mortlock (Sydney, Australia) Pedro&Juana (Mexico City, Mexico) Pezo von Ellrichshaussen (Concepcion, Chile) Plan:b Arquitectos / Felipe Mesa & Federico Mesa (Medellin, Colombia) PORT (Chicago, USA) Productora (Mexico City, Mexico) RAAAF [Rietveld Architecture-Art-Affordances] (Amsterdam, Netherlands) Bryony Roberts (Los Angeles, USA; Oslo, Norway) RUA Arquitetos (Rio de Janeiro, Brazil) Rural Urban Framework (Hong Kong) SO-IL (New York, USA) Sou Fujimoto Architects (Tokyo, Japan) studio Albori (Milan, Italy) Studio [D]Tale (Harare, Zimbabwe; Capetown, South Africa; London, UK) Studio Gang / Jeanne Gang (Chicago, USA) TOMA (Santiago, Chile) UrbanLab / Sarah Dunn and Martin Felson (Chicago, USA) VTN / Vo Trong Nghia Architects (Ho Chi Minh City, Vietnam) WAI Architecture Think Tank (Beijing, China) Weathers / Sean Lally (Chicago, USA) Amanda Williams (Chicago, USA) WORKac+ Ant Farm / Amale Andraos & Dan Wood, Chip Lord & Curtis Schreier (New York, USA) A full list of the festival's sponsors and partners is available on chicagoarchitecturebiennial.org. "Obviously there's an economic benefit in tourism and travel. 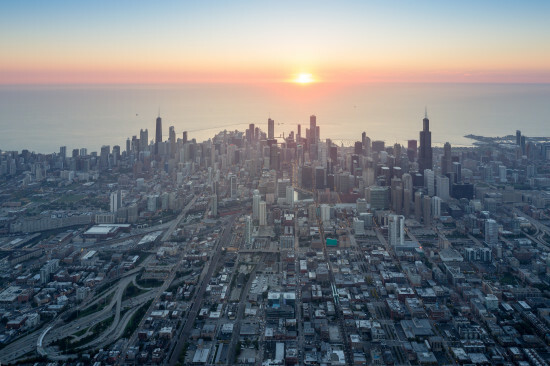 Chicago will continue to be seen worldwide as an epicenter of modern architecture… The real question is: Why wasn't Chicago doing this before?" The Chicago Department of Cultural Affairs and Special Events (DCASE) and the Graham Foundation will present the show, which will be based in the Chicago Cultural Center. 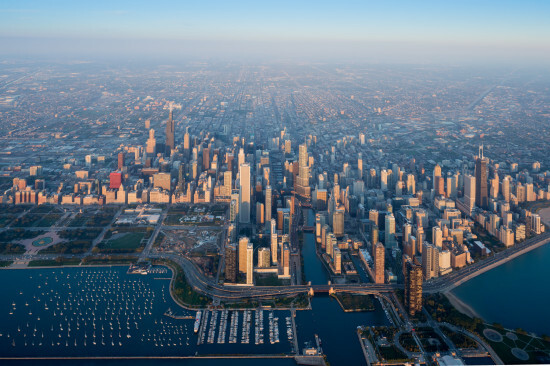 The Chicago Architecture Foundation, whose annual Open House Chicago will coincide with the start of the initial biennial, will help coordinate the first exhibition, which is planned for October 1, 2015 through January 3, 2016. Oil company BP donated $2.5 million for the first show. Kamin reported that Emanuel personally solicited BP’s grant funding, and that the city’s still looking to raise $1.5 million more. While the Chicago event makes no secret of taking after its prestigious namesake in Venice, there will be several differences from that event, which reportedly drew more than 175,000 visitors in 2012. Admission to Chicago’s event will be free, and the show will not have national pavilions. It will have a theme, which has yet to be determined, and will seek to compete in an increasingly crowded field of international design exhibitions. Venice has mounted its exhibition 14 times in 34 years, deviating occasionally from its biennial schedule. If Chicago’s initial event is deemed a success, officials say they’ll duplicate it every two years. Joseph Grima, who co-curated the Istanbul biennial in 2012, and Graham Foundation Director Sarah Herda will co-direct the inaugural Chicago event. Another Chicago-based design curator, Zöe Ryan of the Art Institute of Chicago, is coordinating Istanbul’s next biennial, which will run concurrently with Chicago’s.